It’s pretty much a given that the moment I write “we haven’t seen one of these in a while”, a second appears nearly immediately. In the case of yesterday’s 5000CS quattro, these big Audis have become so rare to the market these days that it had been months since I saw a decent example for sale. Yet, like clockwork, here’s the second in two days – but with a slight twist. 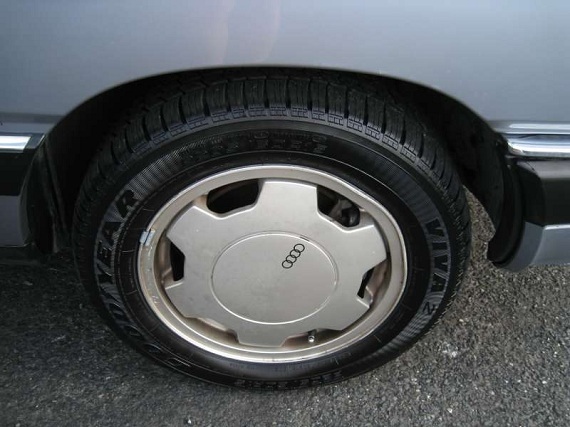 Few outside of the die-hard Audi fans will recall that there was a front wheel drive Audi turbo available from 1985 until 1990. Running the same power plant as yesterday’s quattro but without the all-wheel drive system, these 5000 Turbos were actually quite fun to drive on back roads, great cruisers on the highway and slightly quicker due to less weight. 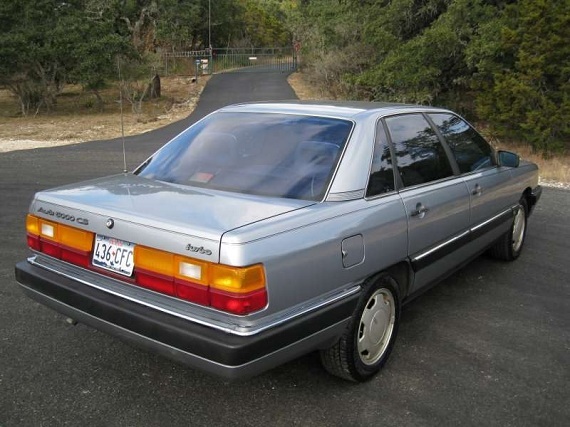 Despite that few chose the Turbo model as an option and it’s probably only remembered vaguely by 1980s movie fans as the car that Ferris Bueller’s dad drove. Low Reserve, Bid Now! Priced to SELL! Many pictures are loading, please be patient. Don’t hesitate to call or email if you have any questions! This is the one you have been waiting for! Your search ends here! Read the ad and you’ll see why! 2.2 liter Inline-5 Cylinder Engine! Non Smoker Texas Car! No Rust! Garage Kept! You won’t find one that’s nicer cosmetically! Audi Enthusiasts, This one is for you! Before I get into the main description I want to point out that this car is probably the nicest looking all original 27 year old car I’ve ever seen. This car was completely garage kept. The car’s previous owner had to have been crazy for this car because you don’t see something that’s all original looking this nice. It just doesn’t happen but once in a blue moon. Having said that the car is 27 years old and appears to be all original. It runs great and accelerates smoothly. The car needs some routine maintenance in order for it to be as nice mechanically as it is cosmetically. The car is drivable but the front end isn’t tight. I’m sure some of the 27 year old rubber in the front suspension needs to be replaced. Nothing out of the ordinary for any car. The previous owner looks like they were going to replace the headliner, but didn’t complete the job. The headliner needs to be replaced. The power windows, sunroof, and radio do not work. From what I can tell by looking online these are controlled by a central relay under the dash that commonly goes out. That shouldn’t be a big deal. The heat works great, but unfortunately it’s too cold to check the a/c. I’m sure once you get in there you’ll find something else that needs attention just like any car, but get these repairs out of the way and have a see for yourself at the nice car you’ll have by then. I decided to make the car available without doing the repairs as it would likely cost me a whole lot more to pay a shop to do the work then it would for you to complete the repairs. It’s priced accordingly! I haven’t seen one of these in a very long time. Who knows how many are left! I can’t stress enough how nice this car is cosmetically! Well, here it is. Here is the one you have been waiting, and hoping for! You knew somewhere, someplace there was an Audi 5000 CS Sedan sitting in out there in somebody’s garage just waiting to hit the market. Of course as the days, weeks, months and possibly years go by and your search turns up absolutely nothing. You begin to wonder if any such car exists, or have all the old classic Audi been driven and worn out? The answer is no, not all of them. We managed to locate a survivor. 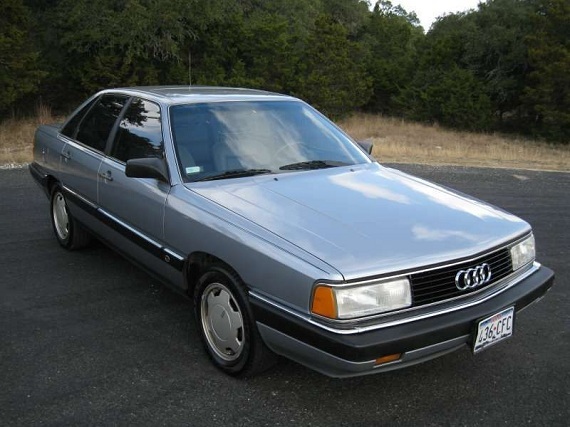 An unmolested, non-smoker, garage kept, bona-fied example of a 1986 Audi 5000 CS Sedan Turbo. 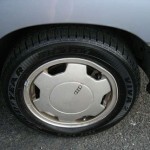 Here is a very rare chance go get a highly desired and very hard to find example of one of the best cars Audi ever made! 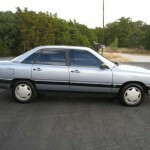 Up for sale is a 1986 Audi 5000 CS Sedan! This 2.2 liter Inline-5 cylinder engine is regarded by most Audi enthusiasts as the best engine ever placed in a Audi! You’ll really fall in love with this 2.2 liter engine! The car has a spotless history report showing two owners. The first owner appears to have owned the car until 2010! In either case the car has been owned in Dallas, TX its entire life and the car was obviously garage kept. The car still runs and drives great. This car is at its infancy. Audis have earned a reputation for being some of the most reliable cars ever produced. The car has never, ever been smoked in! The car has a perfectly spotless history report showing the car spending its ENTIRE life right here in Texas in a rust free environment! As a result the body and undercarriage is completely free of rust. 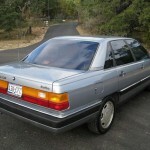 The car comes in a very attractive color combination, Gray on the outside with Gray leather on the inside. The car appears to have never been in an accident. What will really impress you is the condition of the car’s interior. You’ll be amazed by how nice it is! It really is beautiful inside! 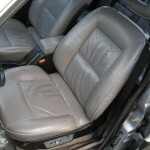 The seats are still in fantastic condition showing very minimal wear, unavoidable for the car’s age. Just look at the pictures! The car’s interior is everything you’d expect for such a well preserved car! I’ll let the pictures speak for themselves. You’ll be absolutely impressed by the car’s interior condition. You have plenty of room in the back for the entire family. The trunk has plenty of room for whatever you’d like to place back there. With all that said you might ask, “well, how much?”. We honestly don’t know what to ask for this car because there really isn’t anything quite like this on the market so we can’t price the car accordingly. So we put the car up for auction and we’ll let you decide how much you’d like to buy this beautiful Audi 1986 5000 CS Sedan for! Bid to win, and rest assured you are not wasting your time! We are aware that most dealers stick their cars online with unrealistic reserves, we aren’t one of those! We will be selling this one at the close of the auction! Have a wonderful mini vacation by flying down, visiting beautiful San Antonio, Texas and driving this car home! 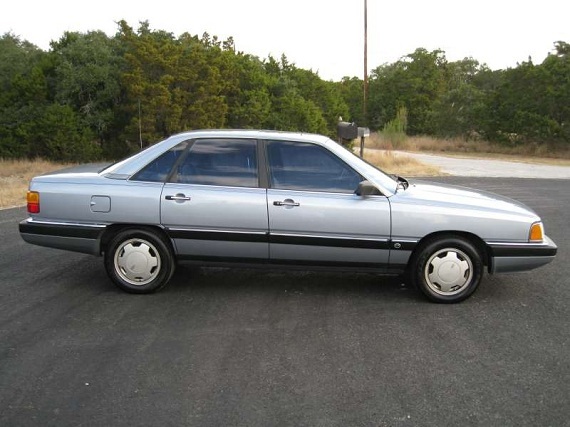 This may be your only chance to acquire a high quality, rust free Audi 5000 CS Turbo Sedan! Don’t miss this chance to own your dream car! You never have to worry about a shortage of buyers whenever you decide to part with this car! This is a great investment that will still prove good even years from now! Any Audi enthusiast will tell you that this is the car to have! This may be your last chance to get a car like this in this kind of condition. There just aren’t any of these left that are this good! Bid early and follow the auction to the end, don’t let another bidder with a couple of quick clicks of the mouse in the final minutes of the auction take your dream car away from you! Don’t settle for second best. Get the car of your dreams! Don’t miss your opportunity to own this beautiful car! You will not be disappointed! If you have any questions about the car don’t hesitate to call 210-570-6194. This car is just amazing! Here is the one that you have been waiting for! 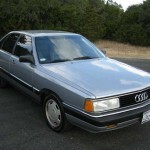 A rust free 1986 Audi 5000 CS Sedan! You’ll fall in love with the timeless Audi styling! Just look at the bold appearance that this car makes up front! You’ll really be proud to call this car your own! Just look at how nice this car looks! This chrome trim is missing a small piece here. One of the only cosmetic faults with this car. Just look at this beauty! This is the car to have! The 2.2 liter engine mixed to the timeless style of the classic Audi Sedan! These Audi cars have a timeless look that you can’t get with any other car! Those well defined lines really make the car distinctive! Just look at this car’s body! It still looks fantastic! The car just looks beautiful from every angle, even from the back! This is the turbo model! You’ll be nothing but impressed with this car’s cosmetic condition! I’ll guarantee you’ve never seen one this nice! It’s like stepping back into time! This appears to be the original paint, and it looks amazing! This car was absolutely garage kept! The paint looks fantastic! Appears to be all original! Great tires all the way around! One wheel is a little bent as you can see. Looks like it’s minor enough to be easily repaired. Look at how clean that trunk area is! You’ll have plenty of room for whatever you need to store back here! This car is very versatile and is well suited for whatever you need to do in it! Notice how clean this car’s trunk is! You’ll really be impressed by how nice this car’s trunk is! The owner was very careful not to place anything back here that would spill or make the trunk dirty! Just look at it! If the car itself wasn’t already amazing then this will blow you away! In the spare tire well you will find the car’s ORIGINAL spare tire and tool kit! You get all four original floormats! The doors still look the same as the day they were new! No kick marks from getting in our out of the car! Just look at them! You how power windows, mirrors and a memory function for the driver seat. As I mentioned the power windows do not presently work, nor could we get the memory feature on the seat to work despite the power seats working. We do have the speaker for this door. Here’s your first look into this incredible car! You’ll be completely stunned with how nice this car’s interior is! It’s just amazing how nice these cars can be when you have a careful, non smoking owner! It’s every bit as nice as you’d expect for this kind of low mileage! The driver’s seat is in still in incredible shape! We’re very confident that we’ll never get one this nice ever again. There just aren’t any out there anymore! Only the most minimal wear. This car is all original! The passenger’s side is also incredible! The doors are spotless! Just look at them! You won’t believe how nice this car’s interior is until you sit down and take a look at it! Take a look at how clean this car is! You’ll be in complete disbelief! This car is still more than capable of making an impression wherever it goes! Both front seats are still in fantastic condition! They are beautiful to say the least! It’s incredible that this car is 27 years old and looks this good! 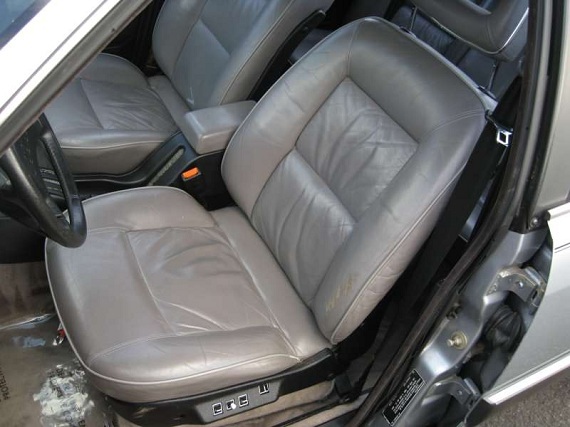 You’ll be nothing but impressed with the overall condition of this car’s interior! Only very light wear! Passenger side power seat still works great! Rear doors look fantastic! You can see this car was garage kept! Rear seats were hardly used if ever! Plenty of room for passengers! This door also looks great! I can’t say enough about how nice the inside of this car is! You won’t find a nicer original car! Rear seat passengers have their own A/C ducts and cigarette lighter! Just look at these rear leather seats! Look at the orange on the seat belt buckles! This car wasn’t out in the sun! Back here isn’t all worn out. It still looks fresh! I have no idea what this is, but here it is! Some kind of audio hookup. The driver will cherish every second they are behind the wheel of this car! You’ll be very pleased with how comfortable and luxurious this car can be while still providing world class reliability along with incredible gas mileage thanks to the 2.2 liter engine! So will the passenger! This is an experience that most people will never have! A Audi is more than just a car, it’s an extension of yourself. A lot can be said with a car like this! The dash is spotless! None of the cracking that you normally see on a car of this age! Just look at the interior of this incredible car! You’ll be very pleased with the layout of this car’s interior! Everything is designed to be in sync with the driver! The car features an onboard computer and clock. The car’s electronic climate controls still work great! The heat works, but its too cold to test the a/c. The stereo does not power on. Automatic transmission. Still looks great down here! Needs a headliner. The previous owner had everything removed in preparation to have it done but didn’t. It looks horrible like this but a new headliner will make the roof look great! We have all the removed parts and a service manual! Speedometer works great, odometer appears to have been stopped at its current reading for quite some time. Normal for these cars. The tachometer does not work. The warning triangle remains illuminated. Don’t know why. No other warning lights remain illuminated. If you thought the inside of this car was clean, open the hood! Just look at how nice everything is under here! The engine’s condition more than keeps up with the condition of the rest of the car! This engine is spotless! You’ll be very pleased with the engine’s condition. It was very well kept and is well on its way to giving you a lifetime of quality service! This car has still got plenty of miles left in it. If this car’s overall condition doesn’t show you this car has been taken care of I don’t know what else will! This is the highly desired 2.2 liter 5-Cylinder engine. It’s very hard to find these Audi Sedans on the open market because most Audi enthusiasts are getting these cars with no intention of letting them go. I firmly believe you’ll never get another chance to get one this good! Placing a Bid: By bidding on this vehicle you are entering into a legally binding contract to purchase this vehicle and you agree to abide by all terms of sale set forth herein. Vehicle Representation: Although we describe all our vehicles to the best of our abilities, it is still possible that we may have unintentionally made an error or left some information out. Please keep in mind that used vehicles may have typical dings and scratches inherent for their year and mileage. Interior wear should also be considered depending on the vehicleâ€™s year and mileage. Opinions and expectations can vary, so please contact us if you have any questions or concerns regarding the condition of this vehicle. Used cars may not come with all of the original books, keys or accessories. Please review all photos carefully and if there is anything you are not sure about, ask questions prior to bidding. We are not responsible for errors or omissions in our listings. The mileage may be different than advertised due to test drives and demos. Vehicle Inspection: We welcome and encourage potential buyers to inspect the vehicle but such inspections MUST be conducted prior to completion of this auction. This vehicle is available for inspection at any reasonable time. If you choose to have the inspection done by a licensed professional, you must do so at your own expense. It is the responsibility of the buyer to have thoroughly inspected the vehicle, and to have satisfied himself or herself as to the condition and value based solely upon that judgment. Furthermore, it will be assumed that you have inspected this vehicle fully if you have placed the bid. Financing: If you are planning to finance this vehicle through a lending institution, you must secure the loan prior to bidding. Secure all finances and be able to follow through with the payment before you bid. Please call us if you require assistance in obtaining financing. No Reserve Auctions: By bidding on this vehicle you are entering into a legally binding contract. If you bid on this vehicle, that means you agree to abide by all of our terms and conditions. If at the end of the auction you are the highest bidder, you have won this vehicle. Warranty: Unless stated otherwise, this vehicle is being sold â€œas isâ€ and where is with all faults and possible defects. No representations or warranties are made by seller, either express or implied, including but not limited to warranties of title or implied warranties of merchantability or fitness for a particular purpose. Nor are any representations or warranties relied upon by bidders in making bids. We are not the first owners of this vehicle and therefore cannot guarantee history, condition, reliability, mileage, title, salvage/history of salvage, function or performance of the vehicle. You are only buying what we have. Manufacturerâ€™s warranties may still apply. An extended warranty may also be available. Please contact us for details. Vehicle Transportation: Buyer is responsible for shipping and/or pickup of the vehicle. All shipping charges are the buyerâ€™s responsibility. We will not be responsible in any way for claims arising from shipping damage. Shipping companies have insurance policies that protect buyers against damage. Payment Information: If you are the winning bidder, you must contact us within 24 hours of winning the auction to set up payment arrangements. We require a $1,000 non-refundable deposit within twenty-four (24) hours of winning the auction. This deposit can be made through PayPal to our email address. In the alternative, you can make your deposit via wire transfer. If the deposit is not received within the required time frame and alternative arrangements are not made, we reserve the right to make the vehicle available for sale to another buyer. The remaining balance is due within five days of making the deposit. You must fax us your state issued driverâ€™s license after you make the deposit. As final payment for the vehicle, we will accept a certified bank check, bank loan check, wire transfer, or cash. We will not release the vehicle and/or title until funds clear. If you pay cash, you can pickup the vehicle immediately. If you pay by wire transfer the vehicle will be available for pickup once funds are available in our account. If you pay by bank check, you will have to wait nine (9) business days until the funds clear. If payment is made using a check we will hold all vehicles and titles for nine (9) days or until the funds clear. Bidderâ€™s Age: You must be 18 years of age or older to bid. Storage Terms: Once a vehicle has been paid for in full, we will store it free of charge for five (5) calendar days and at nineteen ($19) dollars per day after that. Liquidated Damages: In the event that the winning bidder refuses to honor his/her obligation to purchase the vehicle, we shall be entitled to liquidated damages from that bidder in the amount of two thousand dollars plus two hundred dollars per one thousand dollars of the total purchase price of the vehicle. Sales Tax & Other Fees: Depending on the jurisdiction of your residence, the vehicle may be subject to a sales tax. If the winning bidder plans to register the vehicle in the state of Texas, you must pay sales tax in the amount of 6.25% of the sales price, a .20903% Dealer Inventory Tax (Example of dealer inventory tax: $10,000 sales price = $20.90 inventory tax. ), $50 Documentary Fee, $33.00 Title Fee, and a $62.00 registration fee (registration fee is only charged if new registration is required). Buyers not residing in the State of Texas will be responsible for the dealer inventory tax, and $50.00 documentary fee as well as any state or local tax when you register the vehicle in your home state. Choice of Law & Forum: Buyer agrees that in the event any dispute shall arise, it will be governed by and construed in accordance with the laws of the State of Texas and litigated in Guadalupe county. By bidding on this auction buyer consents to service by certified mail. Miscellaneous: We reserve the right to obtain and verify the registered information of all users who bid on this auction. We reserve the right to cancel any and all bids at our discretion and end the auction early in the event the vehicle is sold prior to the end of the auction, we shall not be held liable for such cancellations. Don’t hesitate to email us using the “Contact” link on the auction page above or by phone at 210-570-6194 if you have any other questions!. Also like yesterday’s 5000, this appears to be a pretty good basis in need of some love. The sagging (now removed) headliner is the most glaring issue but there are plenty of other items that need attention. It’s clearly one of those cars that looks great from far, but when you get closer the issues start adding up. The odometer and tachometer aren’t working, the warning triangle in the center of the dash is – I’m pretty sure – the brake pressure accumulator having failed, the front trim is broken and missing, the car sports two centercaps from a different Audi that don’t quite fit properly, the power seat on the driver’s side doesn’t work…the list goes on. The ad copy is full of enthusiasm but I think is best summarized by the line “I have no idea what this is, but here it is!” Sure, the engine bay looks impressive – one of the better looking original condition ones I’ve seen in a while, and unfortunately that seems to be the only place that this Audi has any value and it won’t be much at that. Like I said with the quattro, even if this car was free, by the time you fix all of the issues you could have gotten into a more desirable later car with more power. That’s sad, because there’s a lot to like here and it sure is overall in great condition all things considered. It’s just unfortunate that is neither the most desirable model nor one worth restoring. 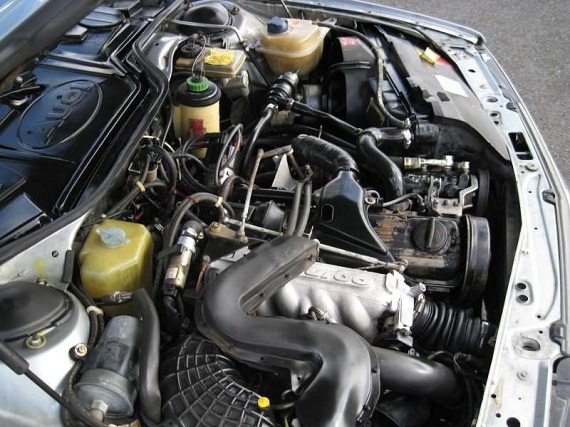 Tagged 1986, 2.2 inline-5, 5000CS, Audi, C3, Turbo, Turbocharged, Type 44.